"The #Schlossplatz in Stuttgart, Germany. 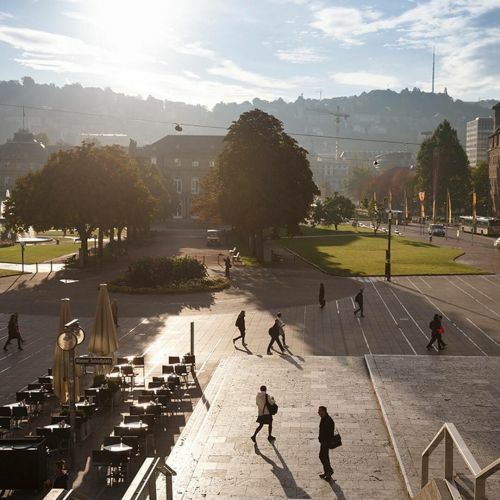 In this peaceful and pragmatic city, which is synonymous with German know-how and corporate giants, it is possible to glimpse something else: a rosier future. Migration has long been an engine of growth in Stuttgart, where migrants are needed, even welcome. In fact, 40 percent of the city's residents come from abroad — twice the national average. The challenge here isn't welcoming them; it's building a city they can live in. @ilvynjio photographed #Stuttgart on #nytassignment." By nytimes on Instagram.